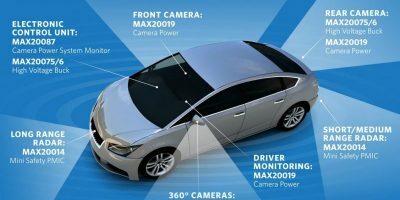 Power-management ICs (PMICs) from Maxim Integrated offer high performance, small size, efficiency, and protection needed by advanced automotive sub-systems, says the company. 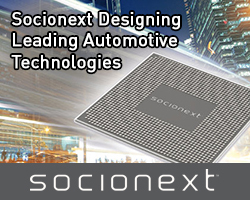 Maxim offers a series of PMICs, enabling designers to optimise power for automotive advanced driver assistance systems (ADAS) functions to achieve high performance, small size, efficiency, and electrical protection. ADAS functions, for example smart braking for collision avoidance, GPS/navigation, adaptive cruise control, lane centreing, lane-departure warning, and back-up/surround video, have to meet the challenge of managing DC power in electrically harsh vehicle environments of the automotive. Maxim’s application-optimised ICs regulate, manage, and protect DC power by offering a combination of package size, high operating efficiency, low quiescent current, integrated ASIL-B/D electrical protection, and reduced EMI. One of the PMICs is the MAX20019 dual synchronous step-down converter. This is claimed to be industry’s smallest 3.2MHz dual step-down power supply in a 2.0 x 3.0mm package size. According to the company, alternatives available are single channel parts in either a 2.0 x 2.0mm or 3.0 x 3.0mm package. Another PMIC is the MAX20087 quad camera power protector. This ASIL-B/D grade camera module protector IC includes an I2C interface to report on over-voltage/under-voltage/fault conditions. It also monitors up to four 600mA coax channels and isolates faults from individual camera modules. 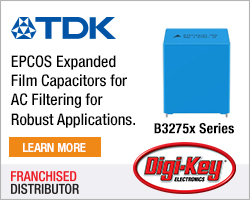 Two step-down converters, the MAX20075 and MAX20076, are claimed to offer the industry’s lowest quiescent current with peak and valley mode options. They provide a high peak efficiency of 91 per cent for always-on applications, compared to competing solutions, while featuring a 40V load-dump tolerance, says Maxim. 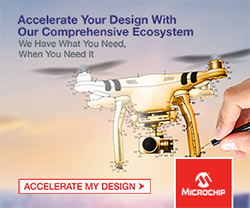 Finally, there is the MAX20014 triple-output converter, which has one synchronous boost and two synchronous step-down converters for smaller, simpler, and lower cost designs. According to Maxim, competing approaches require two ICs plus discrete components. The converter has a 2.2MHz switching frequency and spread-spectrum capability for reduced EMI. It is offered in a small, 4.0 x 4.0mm package.